A checking account is a type of deposit account that individuals open at financial institutionsTop Banks in the USAAccording to the US Federal Deposit Insurance Corporation, there were 6,799 FDIC-insured commercial banks in the USA as of February 2014. The country's central bank is the Federal Reserve Bank, which came into existence after the passage of the Federal Reserve Act in 1913 for the purpose of withdrawing and depositing. Also known as transactional or demand account, a checking account is very liquid. To put it simply, it provides users a quick way of accessing their money. In addition, a checking account can be accessed using several options: ATMs, electronic debits, and checks. The one characteristic that makes a checking account unique compared to other accounts is that it allows users to deposit and withdraw several times. There are many types of checking accounts to choose from. For example, one can open a commercial or business account, a joint account, or a student account. A business checking account is used by companies, and consequently, it’s owned by the company. It means that any transactions happening on the account must be authorized by the company owner or manager. A joint account is one that is opened by two or more individuals, often marital partners. With such an account, either one of the partners is able to write checksHow to Write a CheckEven though digital payments are continually gaining more market share, it’s still important to know how to write a check. This guide will show you step by step how to fill out a check with easy to follow diagrams and illustrations. Many businesses, employers, and landlords still rely on checks to make payments. Steps on the account. Lastly, there are also banks that offer free checking accounts for college students. The accounts remain free until the student graduates from college. 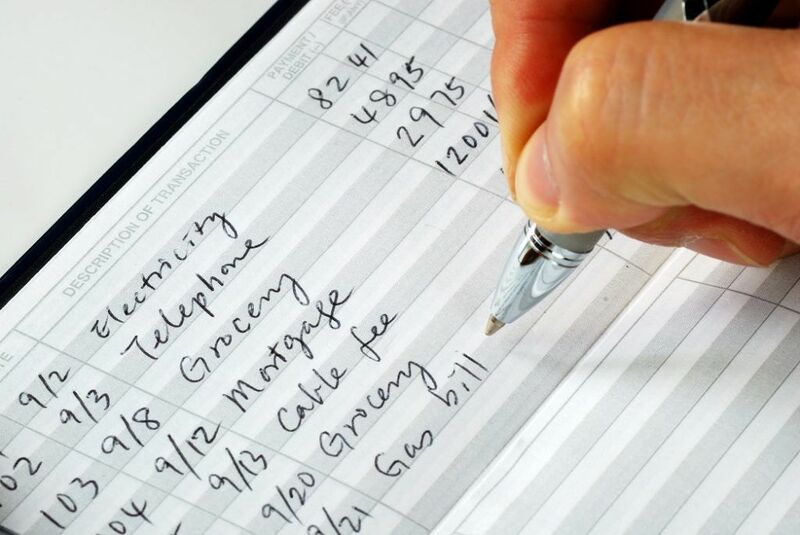 Some financial institutions charge certain fees on their clients’ checking accounts. It’s important that one compares the fees between banks before opening an account. Even though most banks claim that they don’t charge any fees, there can be hidden costs if the checking account goes below the minimum balance required. Some checking accounts, particularly those held at national banks, charge an average maintenance fee of $15 per month. However, there are banks that waive the fee if one meets given criteria such as maintaining the minimum balance. It’s important that one reads the fine print before opening an account. They are fees charged when one withdraws a higher amount of money than the one in his account. Overdraft costs are pretty expensive and can go as high as $35. To avoid such fees, individuals should enroll for overdraftBank Account OverdraftA bank account overdraft happens when an individual’s bank account balance goes down to below zero, resulting in a negative balance. It usually happens when there are no more funds in the account in question, but a transaction still went through, leading to debt. protection, which is a feature that prevents one from incurring fees when they overdraw. Some financial institutions charge their clients fees if the latter’s balance falls below a specified amount. The minimum amount varies from one bank to another, although most of them require that one maintains a balance of between $1,000 and $1,500. If one is using an out-of-network ATM, then he may incur a fee from the ATM operator and bank. According to a Bankrate survey, the total cost of cash withdrawals from an out-of-network ATM amounted to $4.68, on average, in 2018. Keeping a savings account is not the only way that one can earn interest from the bank. Checking accounts also come with perks in the form of interest earned over time and rewards. An interest-bearing checking account works in the same way as a savings account. However, the interest rateInterest RateAn interest rate refers to the amount charged by a lender to a borrower for any form of debt given, generally expressed as a percentage of the principal. The asset borrowed can be in the form of cash, large assets such as vehicle or building, or just consumer goods. varies depending on the type of account. To earn the highest interest, individuals should consider opening an account that is operated by online banks. If an individual leads a very busy life, chances are that he might not be able to keep going to the bank in order to make a withdrawal or deposit. For such people, the best checking accounts are the ones that provide online and mobile access. In such a way, people can easily check their accounts balance, pay bills, and make deposits using their cellphones and computers. Thanks to technology, account holders can now perform most of their banking functions online or through mobile applications. However, challenges can arise, forcing the account holder to seek third-party assistance. So, before picking a checking account, one should read online customer reviews to get a rough estimate of the bank’s level of customer support. It’s better to go for a financial institution that provides a few perks but offers excellent customer service. A checking account is a type of bank account that allows people to access their cash easily. It is simply an account for daily expenses. However, it is more than just a place where one can make deposits and withdrawals. It’s the hub of personal finances, and with the right bank account, individuals can improve their money management skills.